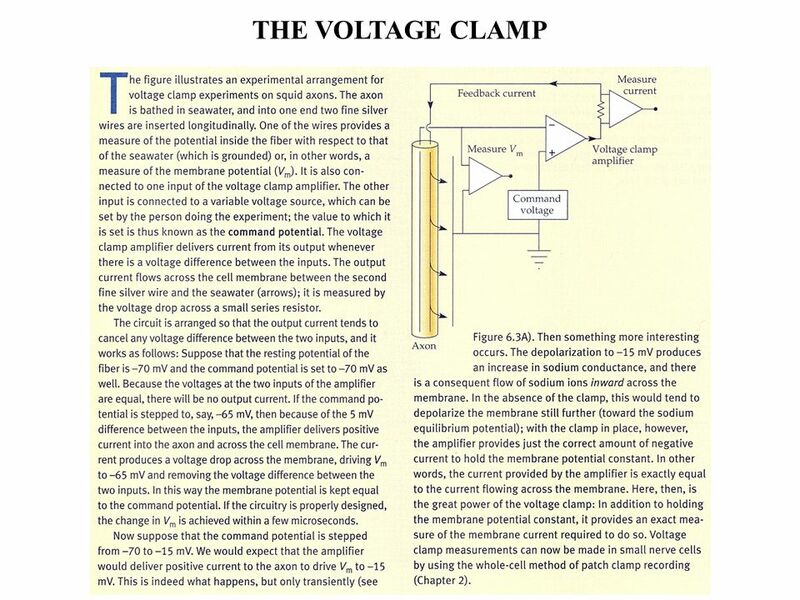 Biophysics 702 Patch Clamp Techniques Stuart Mangel, Ph.D.
1 Biophysics 702 Patch Clamp Techniques Stuart Mangel, Ph.D.
Extracellularly and intracellularly recorded voltages are in the microvolt and millivolt ranges, respectively. 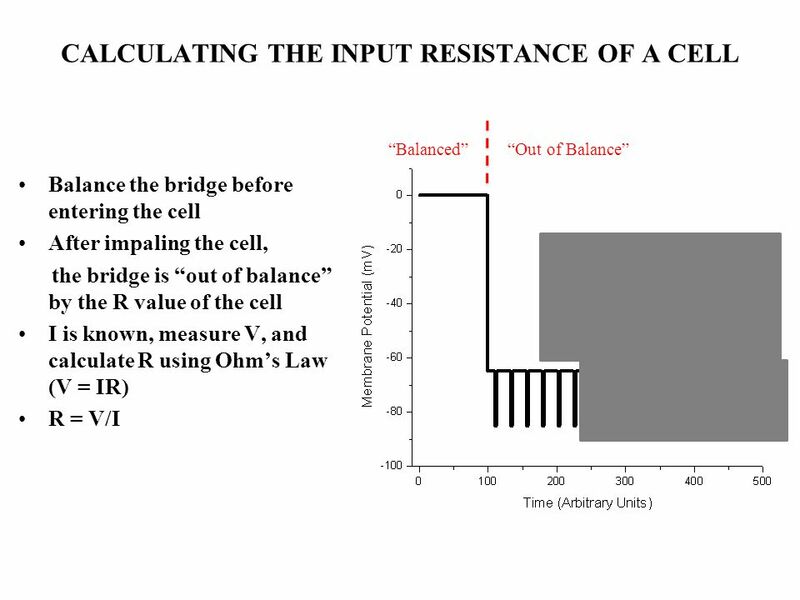 “Balanced” “Out of Balance” Balance the bridge before entering the cell After impaling the cell, the bridge is “out of balance” by the R value of the cell I is known, measure V, and calculate R using Ohm’s Law (V = IR) R = V/I Did R increase or decrease? Did channels open or close? 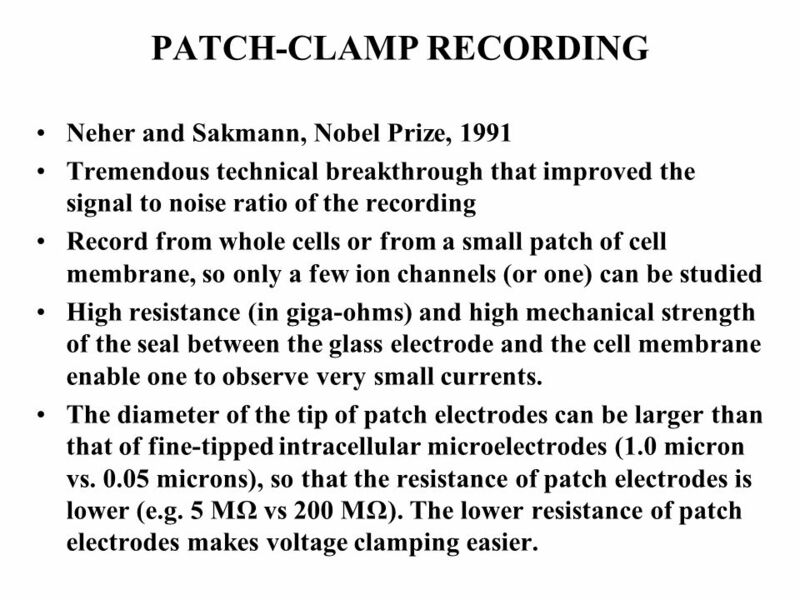 Neher and Sakmann, Nobel Prize, 1991 Tremendous technical breakthrough that improved the signal to noise ratio of the recording Record from whole cells or from a small patch of cell membrane, so only a few ion channels (or one) can be studied High resistance (in giga-ohms) and high mechanical strength of the seal between the glass electrode and the cell membrane enable one to observe very small currents. 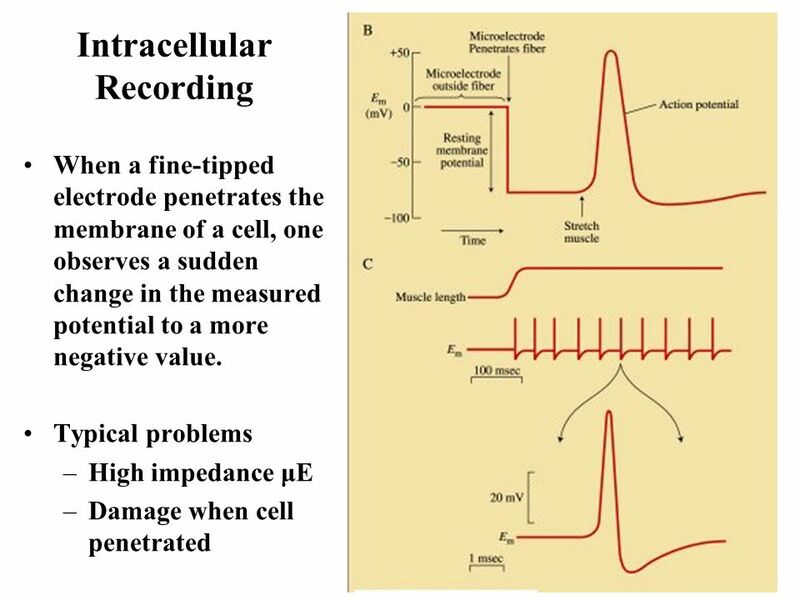 The diameter of the tip of patch electrodes can be larger than that of fine-tipped intracellular microelectrodes (1.0 micron vs microns), so that the resistance of patch electrodes is lower (e.g. 5 MΩ vs 200 MΩ). 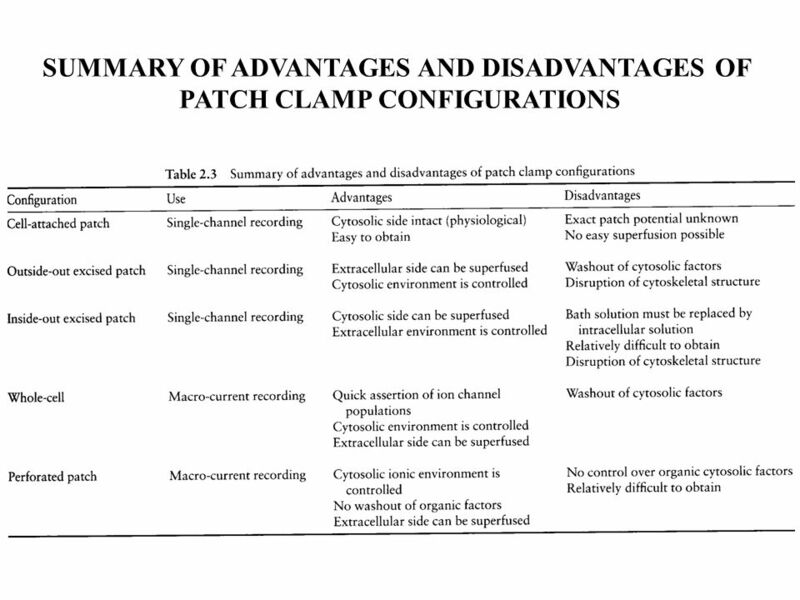 The lower resistance of patch electrodes makes voltage clamping easier. 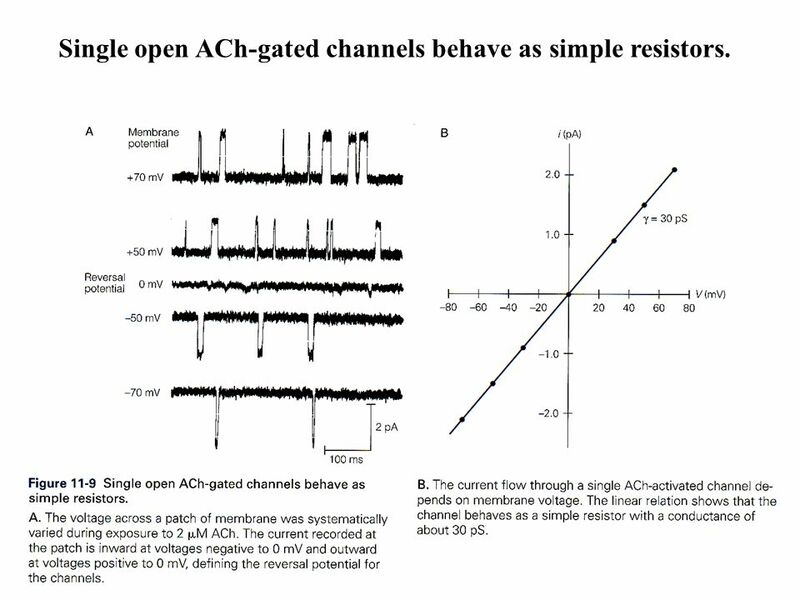 22 Single open ACh-gated channels behave as simple resistors. 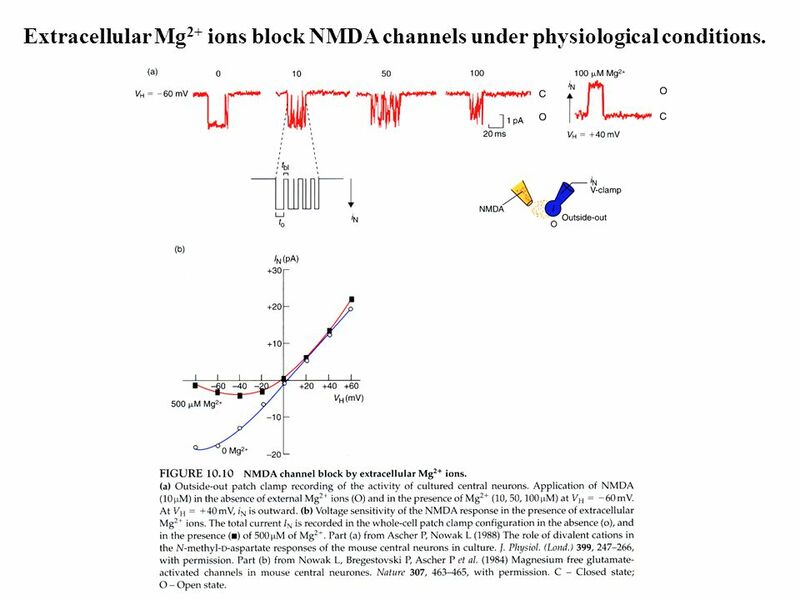 23 Extracellular Mg2+ ions block NMDA channels under physiological conditions. 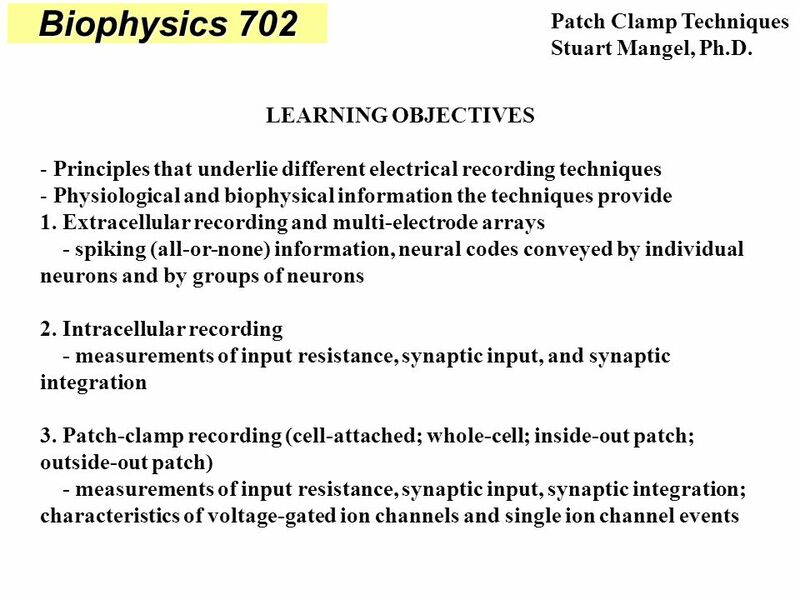 Download ppt "Biophysics 702 Patch Clamp Techniques Stuart Mangel, Ph.D."
Monday April 9, Nervous system and biological electricity II 1. 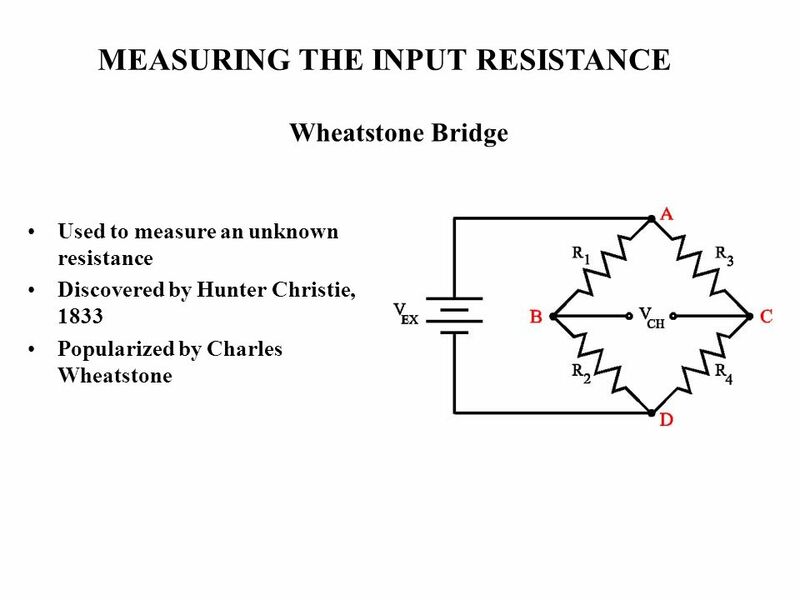 Pre-lecture quiz 2. 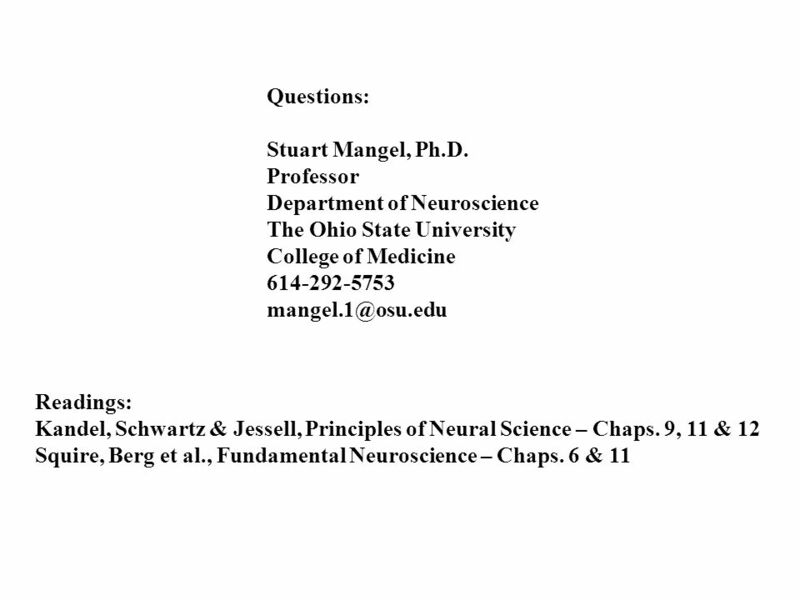 A review of resting potential and Nernst equation 3. Goldman. 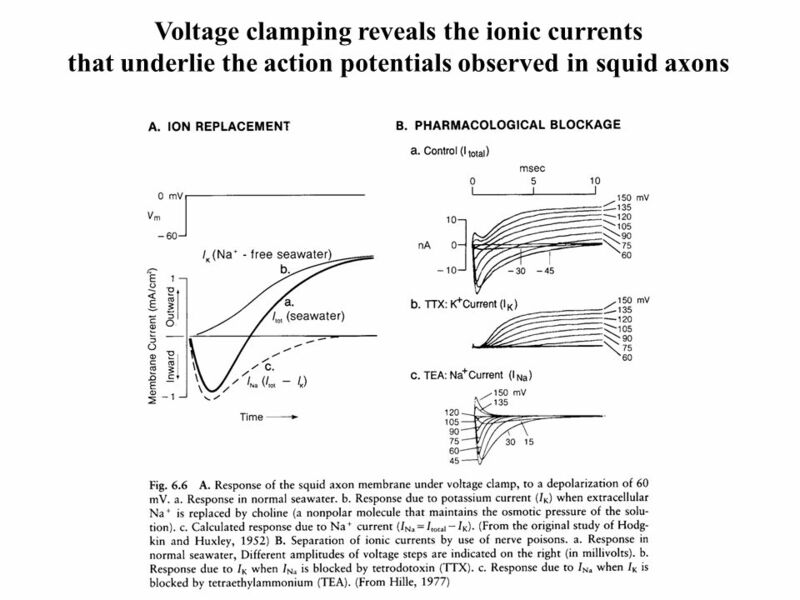 Recording membrane voltage in current-clamp mode from Carbone, Cicirata, Aicardi, EdiSES, 1° ed. 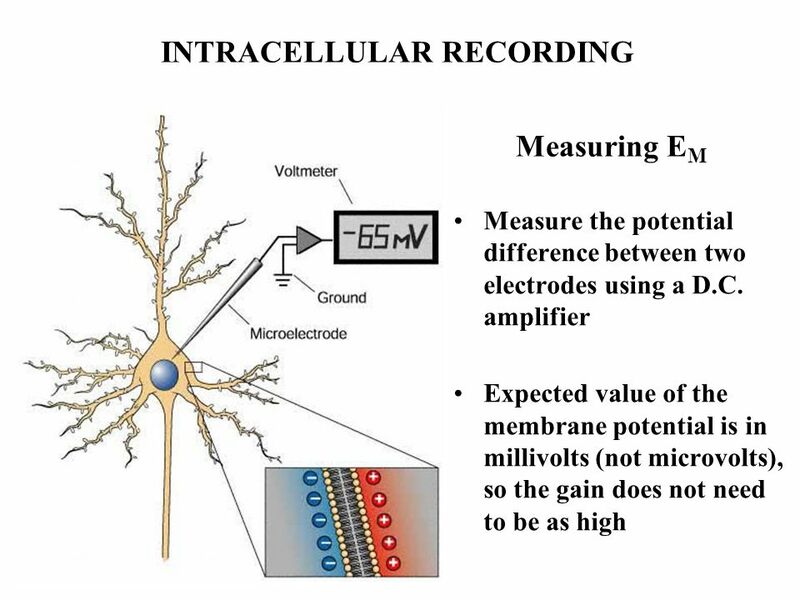 (2009)  Recording resting potentials, neuronal firings. 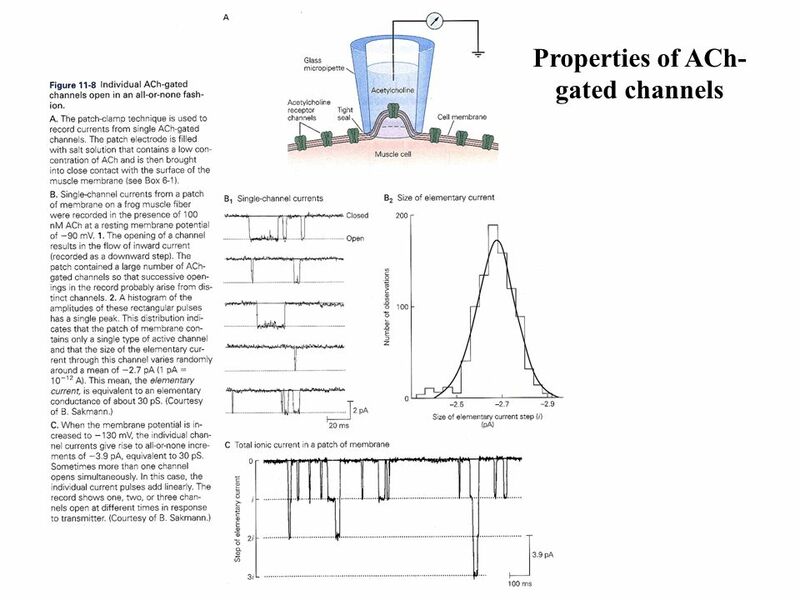 LECTURE 9: INTEGRATION OF SYNAPTIC INPUTS (Ionotropic Receptors) REQUIRED READING: Kandel text, Chapter 12 At neuromuscular synapse, single axonal action. Announcements. 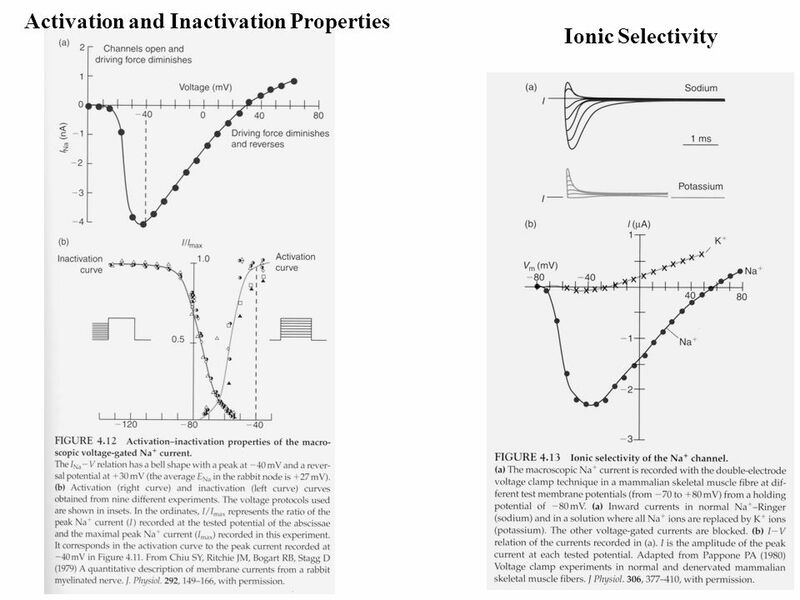 Today Review membrane potential What establishes the ion distributions? 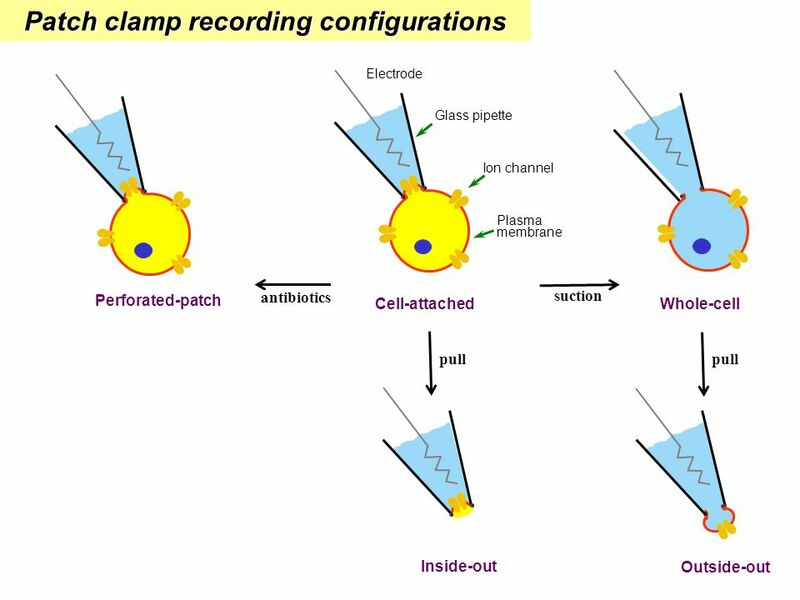 What confers selective permeability? 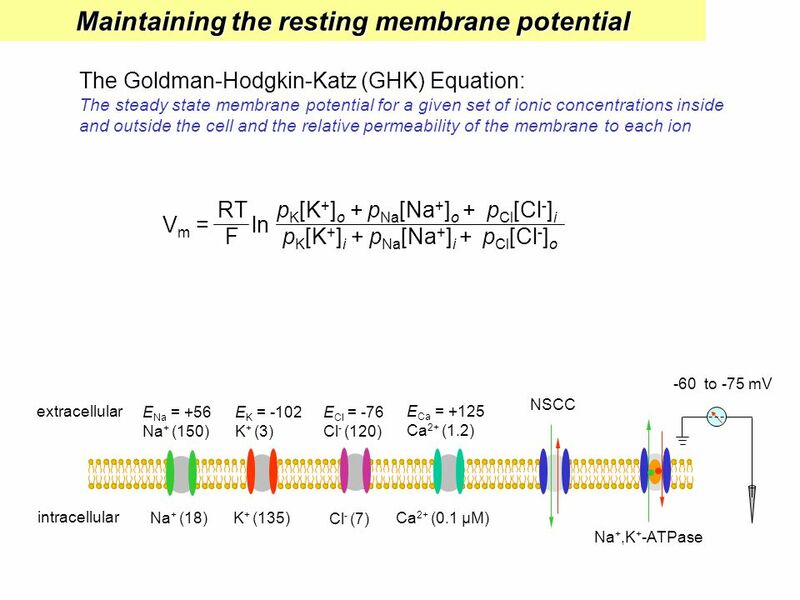 Ionic basis of membrane potential. 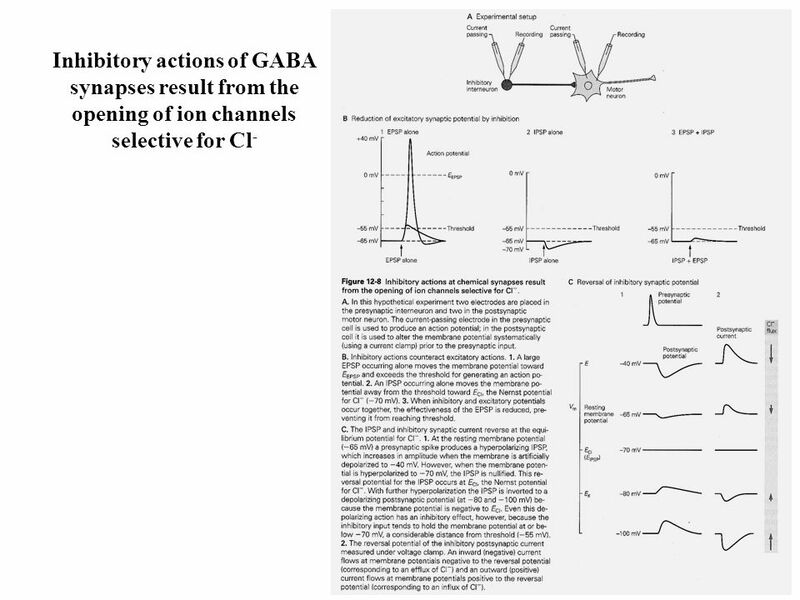 1QQ#11 for 10:30 1.Retrograde axonal transport limits the rate of axonal regeneration to 1-2 mm/day. 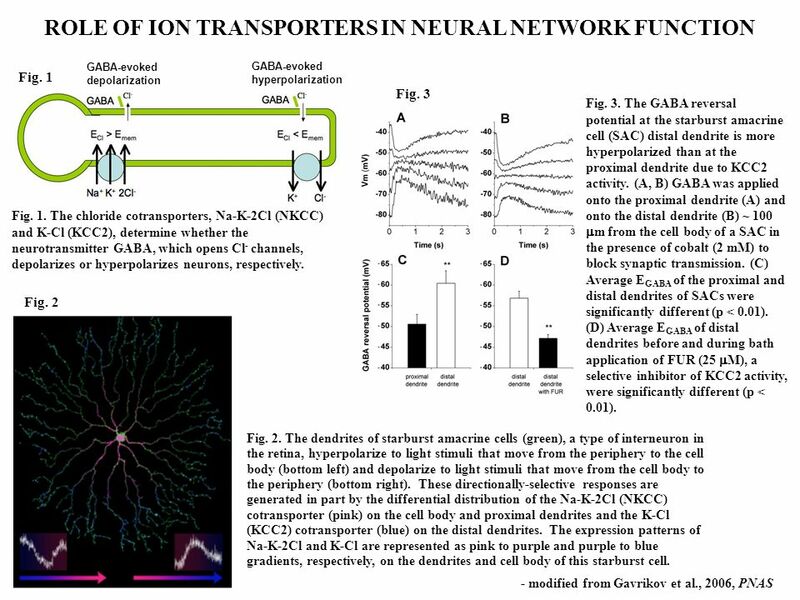 2.The cell body of an afferent neuron is located in. 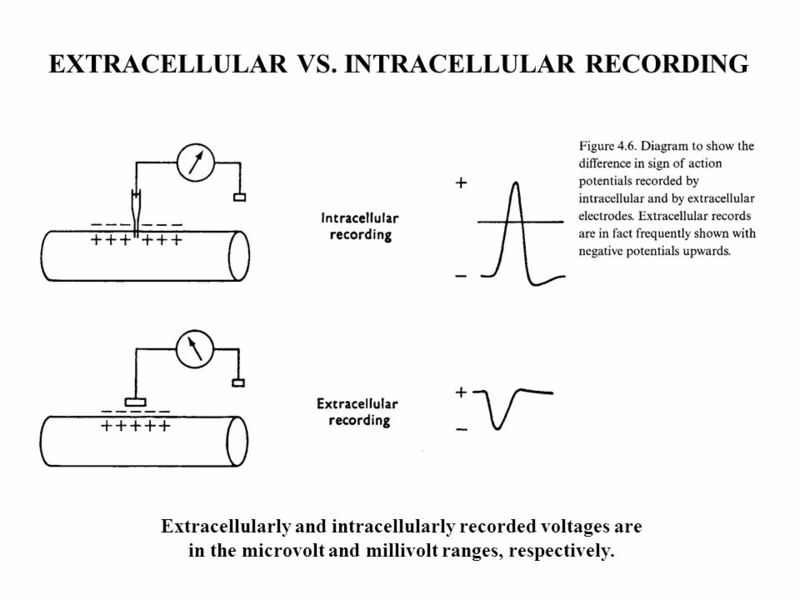 Bioelectricity Provides basis for “irritability” or “excitability Fundamental property of all living cells Related to minute differences in the electrical. 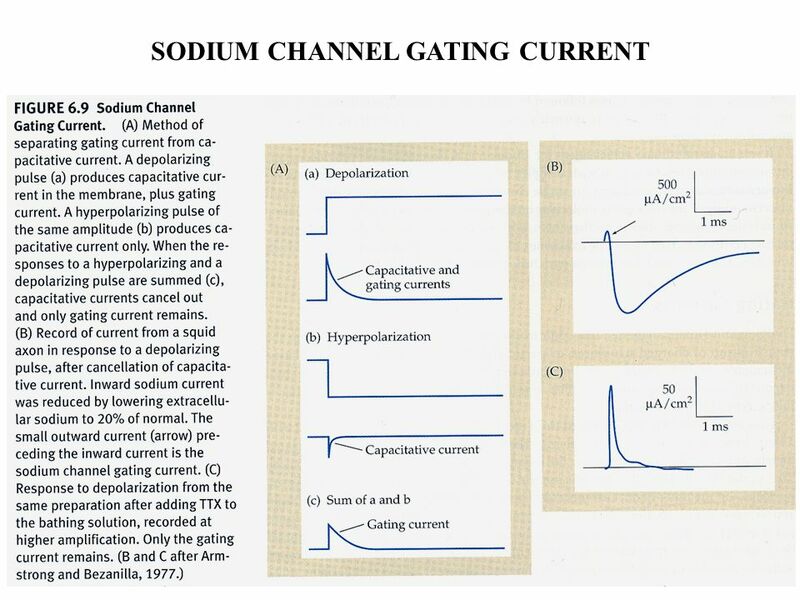 MEMBRANE POTENTIAL Prepared by Dr.Mohammed Sharique Ahmed Quadri Assistant prof. Physiology Al Maarefa College. 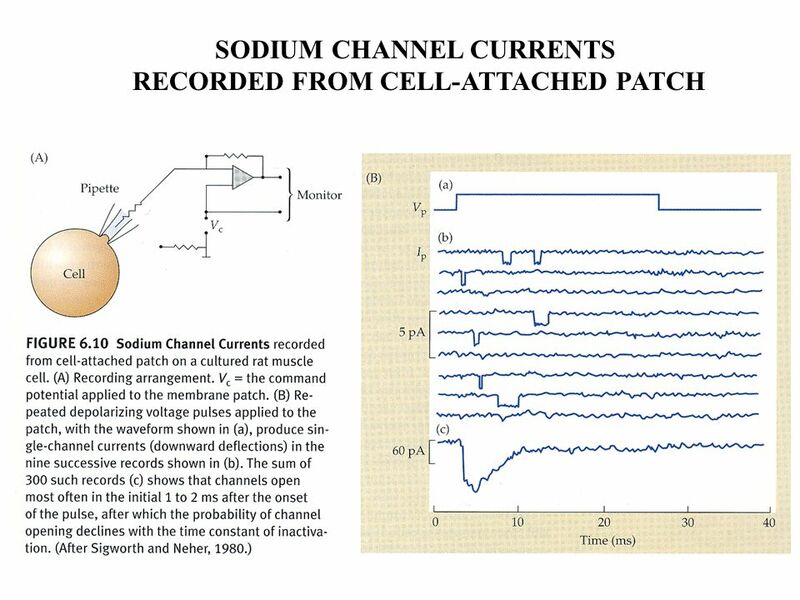 Electrophysiology the science and branch of physiology that pertains to the flow of ions in biological tissues and, in particular, to the electrical recording. 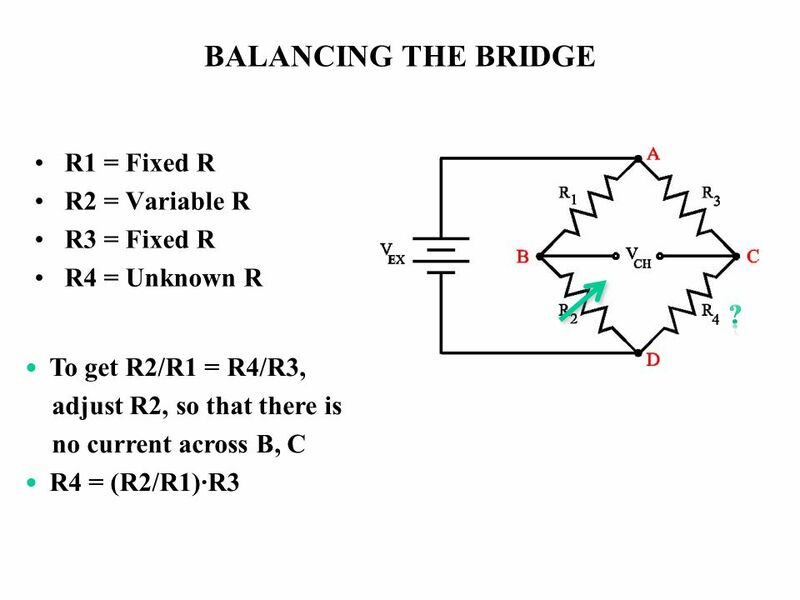 Bioelectromagnetism Exercise #1 – Answers TAMPERE UNIVERSITY OF TECHNOLOGY Institute of Bioelectromagnetism. 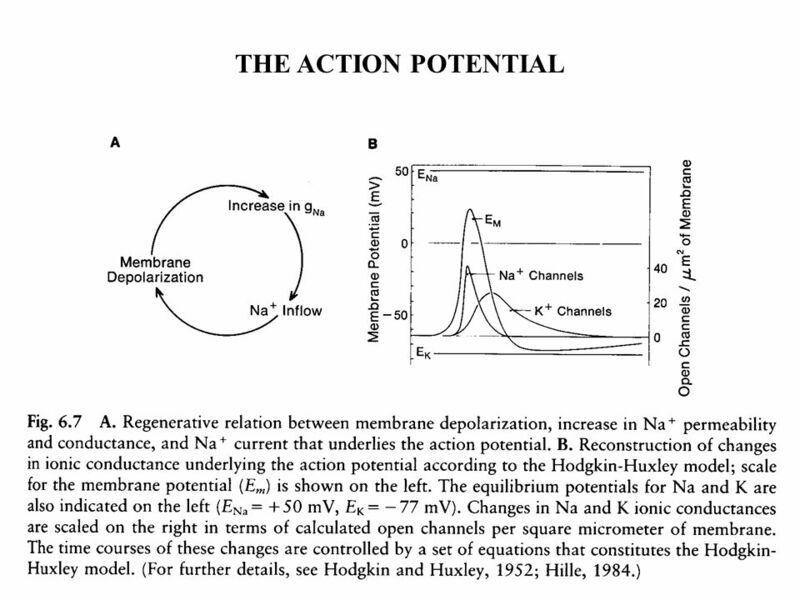 The Action Potential. 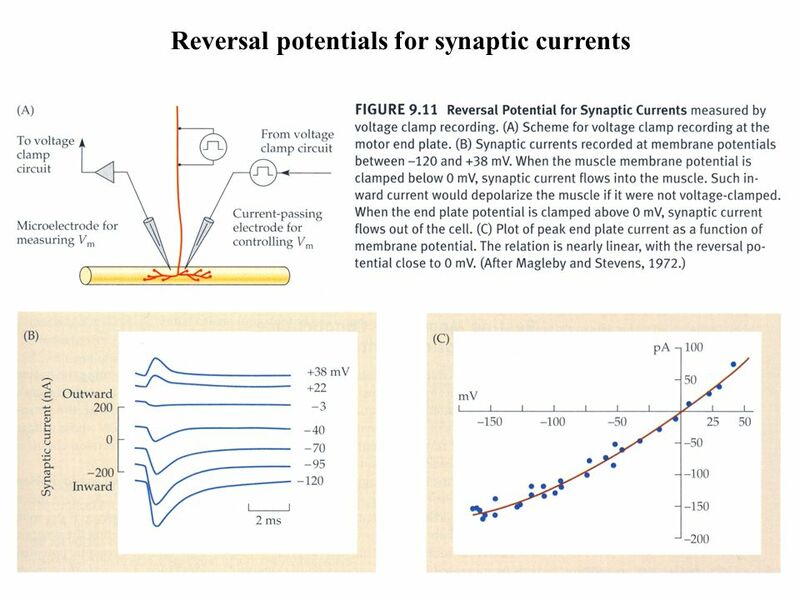 Four Signals Within the Neuron  Input signal – occurs at sensor or at points where dendrites are touched by other neurons.  Integration.